It’s funny, but not all the scientists we talk about on this website are actually famous. Some of them, like Aristarchus, deserve to be… but they’re not. An artist’s view of how Aristarchus might have looked. If you’re looking for an unsung hero of science, you could do worse than Aristarchus of Samos, or Aristarchus the Mathematician as some people called him. Today, a better name might be Aristarchus, who said the earth orbits the sun. 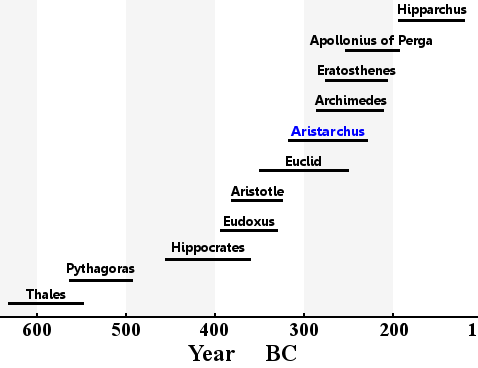 Aristarchus lived at about the same time as two of our other scientific heroes, Archimedes and Eratosthenes; he was 20 to 30 years older than them. His greatest work has been lost in the mists of time; we know about it because Archimedes mentions it in The Sand Reckoner, more of which soon. To appreciate what Aristarchus did over 2,000 years ago, it’s worthwhile thinking about one of the greats of astronomy, Nicolaus Copernicus. In 1543 Nicolaus Copernicus published his famous book: On the Revolutions of the Heavenly Spheres. He told us that Earth, and all the other planets, orbit the sun. In other words, he said the Solar System is heliocentric. 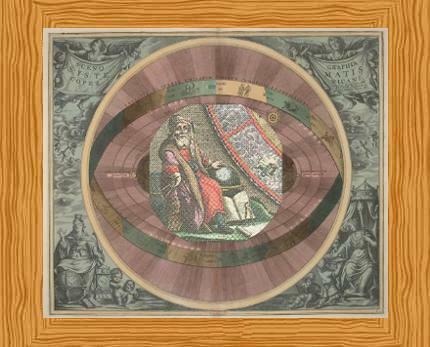 Until Copernicus published his work, people thought we lived in a geocentric Solar System – i.e. Earth was at the center of everything. They believed the moon, the planets, the sun, and the stars orbited the earth. The geocentric idea was taught by the Catholic Church, and Copernicus was a Catholic. Copernicus’s book was suppressed by the Church, but gradually, his theory came to be accepted. However, Copernicus was rather late coming to the heliocentric view. Aristarchus beat him by 18 centuries. Aristarchus must have used the concept of parallax to show that the stars are a very large distance from Earth. In doing so, he expanded the size of the universe enormously. It would be marvelous if we could learn the details of Aristarchus’s observations, calculations, arguments, could read his notes and see his diagrams; but, unless a copy of his ancient book can be discovered in some forgotten, dusty corner of an ancient library, that is a pleasure we shall never have. A modern view of the bodies orbiting in our heliocentric Solar System. Aristarchus would have been thrilled to know what we know now. 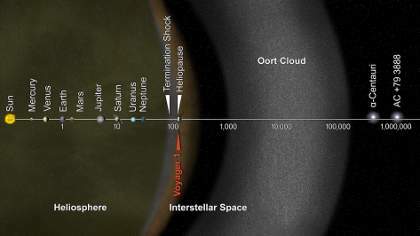 Image credit: NASA/JPL-Caltech (click for larger image). Aristarchus also believed that, in addition to orbiting the sun, Earth spins on its own axis, taking one day to complete one revolution. It’s sometimes said there was pressure for Aristarchus to be put on trial for daring to say the earth is not at the center of the universe. It turns out this was a mistranslation of a work by the Greek historian Plutarch. There was no persecution of Aristarchus. His idea just didn’t find many fans. Most Ancient Greeks rejected his work, and continued to believe in a geocentric Solar System. Thankfully, Archimedes was happy to use Aristarchus’s model of the universe in The Sand Reckoner, to discuss calculations using larger numbers than the Greeks had used before. Only one of Aristarchus’s works has survived, in which he tried to calculate the sizes of the moon and sun and tried to figure out how far they were from Earth. He already knew the sun is much larger than Earth by observing Earth’s shadow on the moon during a lunar eclipse, and he also knew the sun is much farther away from us than the moon. Although the optical technology of his time didn’t allow Aristarchus to know the finer details of our Solar System, his deductions were absolutely correct based on what he could actually see. What he lacked in technology, he made up for in deductive genius. 23 centuries ago, Aristarchus’s proposed, with evidence, that the earth and the planets orbit the sun. He further deduced that the stars are much farther away than anyone else had imagined, and hence that the universe is much bigger than previously imagined. These were major advances in human ideas about the universe. What did Copernicus know about Aristarchus’s Work? Copernicus actually acknowledged in the draft of his own book that Aristarchus might have said the earth moved around the sun. He removed this acknowledgement before he published his work. 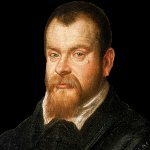 Galileo Galilei, who most certainly had read The Sand Reckoner, and understood its message, did not acknowledge Copernicus as the discoverer of the heliocentric Solar System. Instead, he described him as the ‘restorer and confirmer’ of the hypothesis. Clearly, Galileo reserved the word ‘discoverer’ for Aristarchus of Samos. Aristarchus lived for about 80 years. If we could have built on his insights, rather than forgetting about them for so many centuries, how much further might we have come in our understanding the universe? Aristarchus lived in Ancient Greece. He was born in about 310 BC and died in about 230 BC. Pythagoras lived in Ancient Greece. He was born in about 570 BC and died in about 495 BC. Archimedes lived in Ancient Greece. He was born in about 287 BC and died in 212 BC. Nicolaus Copernicus lived in Poland. He was born 19 February 1473 and died 24 May 1543. Galileo Galilei lived in Italy. He was born 15 February 1564 and died 8 January 1642. "Aristarchus." Famous Scientists. famousscientists.org. 18 Aug. 2014. Web. This famousscientist website is a gem! Great summaries of the bodies of work that individuals made in their time- a Cliff Notes of intellect! I wish more people could read and understand the import of this website.